Panettone is impossible to describe to anyone outside of Latin America. Especially Americans. So instead of telling Americans what it is, we asked them to tell us. 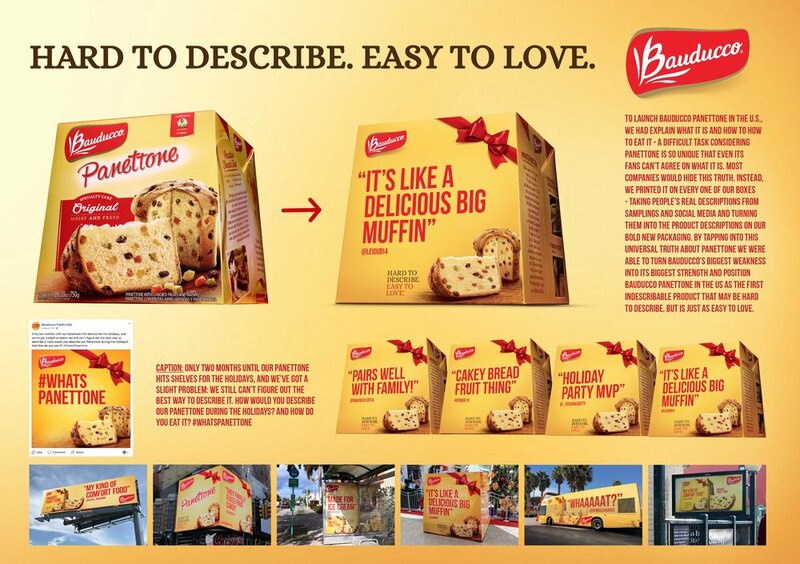 Using social media and samplings, we invited people to describe our panettone and then created entirely new packaging that showed those quotes and tweets as our bold new product descriptions.